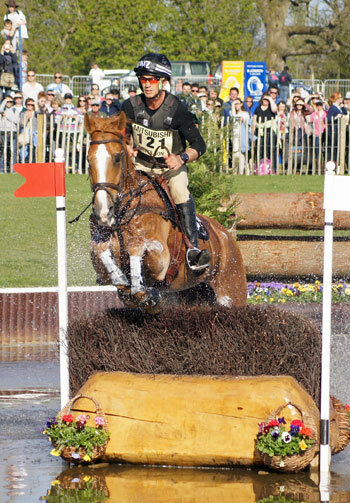 New Zealand eventer Andrew Nicholson is chasing his third British Open Championship at Gatcombe Park this weekend. Nicholson won the event the last time it was held in 2011 aboard his Olympic bronze medal-winning mount Nereo, on whom he also won at Pau, in France, last year. He has several horses entered in the 65 strong British Open field, including Nereo, Avebury, on whom he won the 2012 Burghley International Horse Trials, and Viscount George. Also lining up will be Badminton winner Jonathan Paget with Clifton Promise and Clifton Lush, who will undoubtedly be keen to add to his trophy cabinet. Mark Todd has his second start on Ravenstar while Craig Nicolai has his own Just Ironic entered. The event was cancelled last year, but in 2011 the Kiwis scooped the pool with Nicholson winning aboard Nereo and finishing second with Avebury, Paget and Clifton Lush coming in third, and Todd on Major Milestone fourth. Equestrian Sports New Zealand high performance director Sarah Harris says all of the Kiwi riders will be eyeing the title and seeking solid results as they head towards the next four-star event at Burghley in early September. But there is an impressive field of top international riders for them all to bypass. Names to watch out for include all of the British Senior European Championship team members – Kristina Cook, William Fox-Pitt, and reigning 2011 British National Champion Pippa Funnell . Historically New Zealand has done well at the event, with Todd having won the open four times, with Blyth Tait also featuring on the honours board. New Zealand is also well represented in the advanced section, with a handful also entered in the intermediate championship. The Festival of British Eventing runs from August 2 through to 4 and is expected to attract abou t45,000 visitors. The Open dressage phase starts on Friday morning, followed by the showjumping and cross country on Saturday. The rolling Cotswold turf hosted competitors ranging from British Olympians to Pony Club members on the first day, as well as up and coming equine stars of the future in the Dubarry Burghley Young Event Horse Four and Five year old qualifiers. The crème of the eventing crop started the dressage phase today in both the British Novice Championship and the Smith & Williamson British Intermediate Championship. Cheshire-based Dutchman Andrew Heffernan leads the British Novice Championship after the dressage phase with 29.2 penalties riding Boleybawn Ace who is jointly owned by Heffernan along with the Top Eventers Syndicate. The Smith & Williamson sponsored British Intermediate Championship section is currently being lead by Britains Oliver Townend with Mrs Angela Hislops Cooley Master Class with a test scoring 25.7. Oliver has won this prestigious national title twice before in two consecutive years, in 2007 and 2008. British London 2012 team member William Fox-Pitt currently leads Advanced section A on a dressage score of 24.8 with his twice Bramham winning stallion, Chilli Morning.